1. FC Lokomotive Leipzig is a German football club based in the city of Leipzig, who were formed on the 26th May 1896 as the football department in the Allgemeine Turnverein 1845 Leipzig Sports Club. The club had been formed by a merger of a couple of teams before they went separate again in 1900. 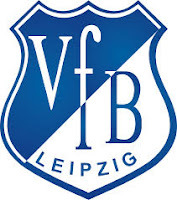 VfB Leipzig became one of eighty six clubs to form the DFB (German FA) in Leipzig. VfB reached the first ever final of the German Football Championship in 1903. In a remarkable final, they came up against DFC Prag, who were a team of German ethnicity from Prague who were permitted to compete. The sides travelled north to the Adolf-Jäger-Kampfbahn home of FC 93 Altona in Hamburg for the match. The evening before the game, the Prag players embarked on a pub crawl around the city. Experts made them favourites to win, but their indiscipline came back to haunt them. The game was delayed because there wasn’t a ball in good enough condition. When Altona produced a ball the game ended 1-1 at the break. Leipzig went on to hammer their opponents 7-2 to become the first ever German champions. In 1906,1.FC Pforzheim were defeated 1-0 in Nuremberg to complete a second championship. Viktoria Berlin ruined Leipzig dreams in 1911 as they won the 1911 final in Dresden. However, VfB were to bounce back as they beat Duisburger SpV in the 1913 final in Munich to make it three German titles. VfB fell at the final hurdle the following year against SpVgg Fürth in Magdeburg. German football was re-organised in 1933 under the Third Reich with sixteen top tier regional divisions. VfB Leipzig were placed in Gauliga Sachsen where they performed satisfactorily without qualifying for the final rounds. However, the club went on to lift the Tschammerpokal, which was later known as the German Cup. Schalke 04, the dominant side of the era, were defeated 2-1 in front of 70,000 fans at Berlin’s Olympic Stadion. Following World War Two, VfL were dissolved by the ruling Russian authorities in East Germany. Members reformed the club as SG Probstheida in 1946. They changed their title to BSG Erich Zeigner Probstheida and then BSG Einheit Ost before they merged with SC Rotation Leipzig in 1954 and played in the DDR-Oberliga, East Germany's top division with mediocre results. In 1963 the two foremost Leipzig clubs, SC Rotation and SC Lokomotive Leipzig were merged, which led to two new teams being formed. SC Leipzig were the continuation of the old club. BSG Chemie Leipzig went their own way and played on as a company team. SC Leipzig became 1. FC Lokomotive Leipzig in 1965. The fortune of the club changed as they became Lokomotive. They ended as DDR runners-up in 1967, which was the fourth season that ‘Lok’ competed in Europe in the Inter-Cities Fairs Cup. Wins over Djurgårdens IF, R.F.C. de Liège and Benfica led to a last eight tie against Kilmarnock, where they went of to the Scotsmen 2-1 on aggregate. More European campaigns followed. Lok had a fine run in the UEFA Cup of 1973-74. Torino, Wolverhampton Wanderers, Fortuna Düsseldorf and Ipswich Town were all seen off to reach the semi-final stage, where they lost out to eventual runners-up Tottenham Hotspur. In 1976 Lok lifted the FDGB-Pokal (East German Cup), which was repeated in 1981. FC Barcelona knocked the team out of the UEFA Cup at the last eight stage, after previous victories against Politehnica Timişoara, Swansea City and Velež Mostar. Further FDGB-Pokal’s came in 1986 and 1987. The later of those successes came in a great season as Lok also reached the 1987 of the European Cup Winner Cup. Wins against Glentoran, SK Rapid Wien, FC Sion and Girondins de Bordeaux set up a showpiece against Ajax in the Olympic Stadium, Athens. A single goal from Marco Van Basten broke Leipzig hearts. Lok never won the DDR-Oberliga. They ended as runners-up in 1985-86 and 1987-88 to just miss out on three occasions. The great days from 1985 were achieved under Head Coach Hans-Ulrich "Uli" Thomale. In 1990 Germany re-unification took place, with the football leagues merging the following year. After a successful play-off campaign in a transitional season, Lok were placed in 2. Bundesliga. The club changed their name to VfL Leipzig and the move seemed to pay dividends. The club played their matches at Zentralstadion and in 1992-93 the team finished in third place to win promotion to the top flight Bundesliga. Their spell lasted just one season as they finished last and were relegated under the watchful eye of Jürgen Sundermann. In 1998 VfB had slipped down to the third tier Regionalliga Nordost, before slipping down another rung to the NOFV-Oberliga Süd in 2001. The club were bankrupted mid-season in 2004. Results were annulled and the club dissolved. Out of the mess, the club fans formed 1. FC Lokomotive Leipzig, The team was placed the eleventh tier Kreisliga 3 Leipzig. The superb supporters got behind their side and an amazing crowd of 12,421 flocked to the Zentralstadion for the game against Eintracht Großdeuben's second team. A merger with SSV Torgau allowed the club to compete in the seventh tier Bezirksklasse Leipzig Staffel 2 for the 2004-05 season, where they finished as champions. In 2007 Lok, who by now had moved into the Bruno-Plache-Stadion in their traditional heartland, won the Bezirkspokal.in 2007 as well as winning their league. In 2007-08 Lok competed in the fifth tier Landesliga Sachsen as their rise continued. After finishing as runners-up to FC Erzgebirge Aue II, the club won another promotion in the play-offs as FC Schönberg 95 were defeated on away goals, with 10,000 fans attending the leg at ‘Das Bruno’. A bit of fortune arrived in the 2011-12 season as Lok finished in sixth place, but they were promoted to Regionalliga Nordost as the reserve teams of FC Rot-Weiß Erfurt, Dynamo Dresden and FC Carl Zeiss Jena were not allowed promotion. Lok were relegated at the conclusion of the 2013-14 Oberliga Nordost season. During the following season the former German international Mario Basler was employed as the Director of Sports. The team vied for a promotion place until the final day. Lok went 2-0 down and fans stormed the pitch causing an abandonment of the game and the end of promotion dreams for Heiko Scholz’s side. 1. 1. FC Lokomotive Leipzig will play in the NOFV-Oberliga Süd.in the 2015-16 season. Leipzig was bathed in cool bright sunshine when I arrived on the train from Berlin at 12.15pm. My plan of attack was to head out of town to see SVV Markranstädt take on FSV Zwickau in the Sachsenpokal before heading to the Red Bull Arena for Germany’s concluding Euro Qualifier against Georgia in the evening. Before that, I had another task. The name of Lokomotive Leipzig brought back memories to me as a young lad growing up as a football fan when midweek matches were confined to highlights on a Wednesday night, or goals being shown the following Saturday on Football Focus or On The Ball. Teams from the Eastern Bloc seemed full of mystery. The papers reported stories of rowdy fans and English teams going through all kinds of hardships to conquer the evil communists. As I was in Leipzig I just had to visit the home of Lok, even more so since the old Zentralstadion was now gone in its old form. My international match day ticket gave me free travel in the area for the day, so once I’d followed the signs I was soon on board the 15 tram towards Probstheida. The journey took me through the main square and past the Opera House before getting to the outskirts and seeing the imposing Monument to the Battle of the Nations. A few minutes later we went past the official Lok supporters shop just before the Probstheida stop. Off I went at full speed; down the wrong road! After a few hundred yards on Chemnitzer Strasse with no sign of a stadium I cut through back onto the main Prager Strasse. There is usually a way to work things out and the Franzosenallee tram stop offered me a solution as it had a local map. I was soon back on track. Approaching the main gates down Connewitzer Strasse I feared that I wasn’t going to get inside the Bruno Plache Stadion. All gates seemed to be locked. Then I noticed a sign leading to the clubhouse. In I walked and soon found a way up the steps to the terracing behind the goal. Das Bruno was exactly what I was expecting. A good old fashioned seated Main Stand stood behind an open paddock down one side. The rest of the ground had open terracing around the shale track with curved ends. Yellow and blue crush barriers and the beautiful green trees made it a real picture to this purist. Time was getting on so I took as many photos as I could before returning to Probstheida to catch a tram towards my afternoon match. Apparently when Lok score in Das Bruno, a train noise and whistle is blasted out over the PA system. There’s only one way to find out!